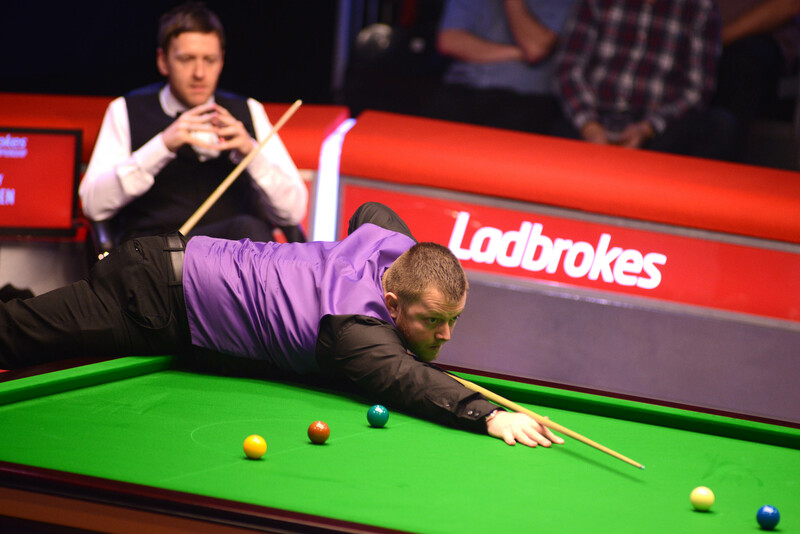 Mark Allen won five consecutive frames to take a 6-3 lead over Ricky Walden in the final of the Ladbrokes Players Championship in Manchester. After a slow start, Northern Ireland’s Allen dominated after the interval and moved within four frames of the third world ranking title of his career. Antrim’s 30-year-old Allen won both of his previous ranking crowns in China and victory today would give him the biggest title of his career to date and a bumper top prize of £100,000. Chester’s 33-year-old Walden is also seeking his first ranking title on British soil having won all three of his in China. The most recent was the 2014 International Championship when he beat Allen 10-7 in the final, but he’ll need to win seven of the last ten frames tonight to avoid defeat. World number ten Allen won the opening frame today with a break of 59 but he scored just eight points in the next three frames as world number 11 Walden went 3-1 up with top runs of 85, 43 and 85. The momentum changed after the interval as Allen won the fifth with a 51 then came from 44-5 down to take the sixth with an 80 for 3-3. A marathon seventh lasted 58 minutes and was settled when Allen was lucky to fluke a snooker after missing a long pot on the final blue, and from the chance that followed he regained the lead. A break of 68 helped put Antrim’s Allen 5-3 ahead, and when Walden missed a tough red to a baulk corner on 35 in the last of the session, Allen stepped in with 64 to give himself a handy three-frame advantage. The match resumes at 7pm with first to ten frames to take the trophy.